Standout athletes from the football field to the swimming pool and everywhere in between make up the nominees for Class 6A Male Athlete of the Year and Sub-6A Male Athlete of the Year. The winners will be announced at the 2018 All-Valley Sports Awards Banquet on June 19 at Mario’s Banquet & Conference Center in Mission. Lone Star National Bank returns as the presenting sponsor of the event for the second consecutive year. Sean Elliott, a former NBA champion with the San Antonio Spurs who now works with the team as a broadcaster, will be the keynote speaker at the banquet. PSJA Trey Guajardo gets pressured by Robert Vela Rafael Montemayor in the second half of play at PSJA Stadium on Thursday, Nov. 02, 2017, in Pharr. Nikki Rowe Adrian Bernal makes a catch as McHi defender Robbie Maldonado trails on the play in the second half of play at Veterans Memorial Stadium on Friday, Oct. 27, 2017, in McAllen. Bernal scored on the 72 yard catch. 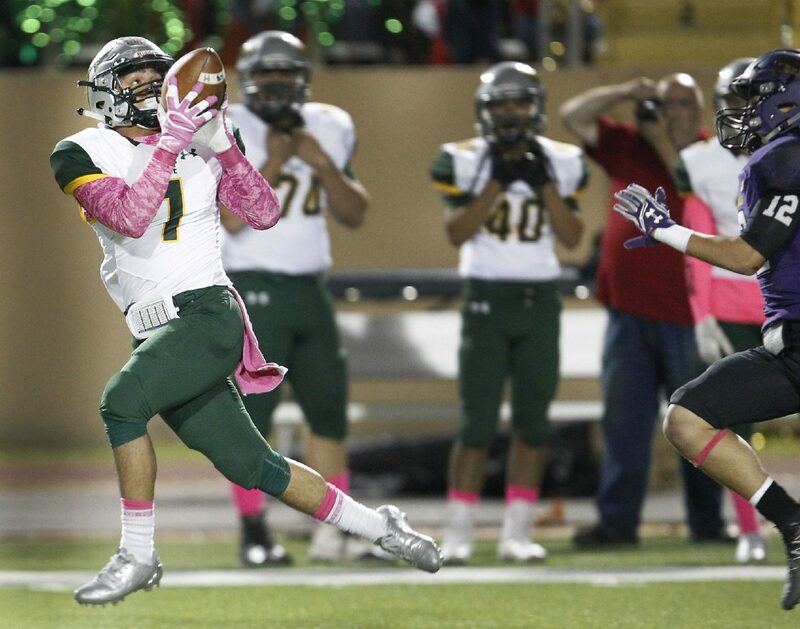 >> Adrian Bernal, McAllen Rowe: Bernal battled through injury to lead the football team with 734 receiving yards and four receiving touchdowns. He also rushed for 130 yards and two touchdowns. As a point guard for the basketball team, he led the Valley with 6.5 assists per game and 6.8 steals per game. As a utility player for the baseball team, he hit .312 with 14 RBIs. 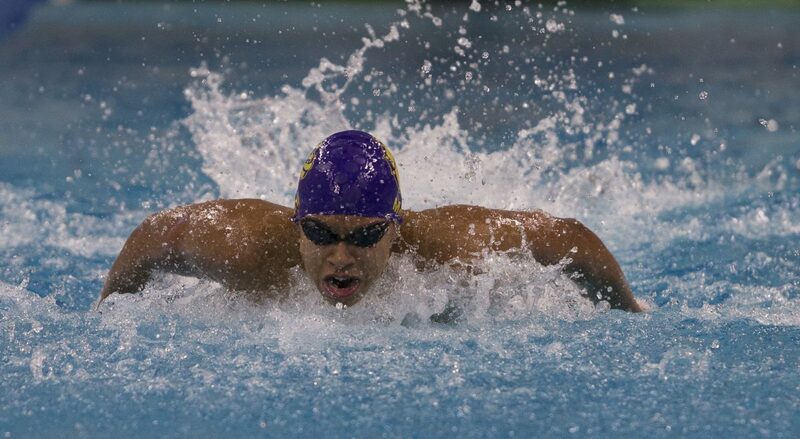 >> Shaine Casas, McAllen High: Casas chose to focus on the butterfly and backstroke as a senior, even though he’s qualified for state in the individual medley and freestyle in the past, as well. At this year’s state meet in Austin, he set a pool record in his fly prelim. In the finals, he was just out-touched in his two events by outstanding Division I competition. He will continue his swimming career at Texas A&M. He has junior national team experience under his belt and will hope to reach his ultimate goal of qualifying for the United States Olympic team. >> Sebastian Gonzales, Los Fresnos: The senior linebacker helped lead his team to a 9-4 record and to the third round of the postseason, earning honors on the Brownsville Herald’s All-Metro first team with 71 tackles, a sack and an interception on the season. He earned a full scholarship to play for the University of Texas-Permian Basin, an NCAA Division II school in Odessa. He advanced to state in powerlifting and advanced to regionals during his first year on the wrestling team. 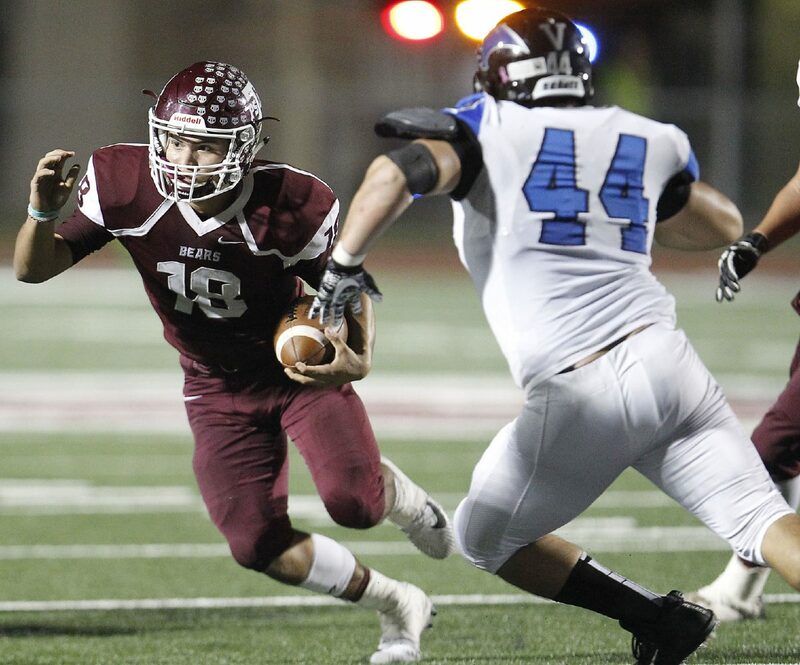 >> Trey Guajardo, PSJA High: As the quarterback for the Bears, Guajardo passed for 2,919 yards and 29 touchdowns while leading the team to a second-place finish in District 31-6A and a trip to the postseason. Guajardo also led the team with 468 rushing yards and seven TDs. As the center fielder for the Bears, he hit .265 with 15 RBIs. >> Randy Aguilar, Brownsville Pace: Aguilar was a co-defensive player of the year in District 32-5A for basketball and helped his team to an undefeated district title and a regional quarterfinal berth in the postseason. In football, he was an all-district first-team quarterback and earned second-team All-Metro honors while passing for 1,622 yards and 17 touchdowns to lead his squad to a playoff berth. >> AB Lozoya, Santa Rosa: The senior point guard helped guide the Warriors to a second straight state tournament appearance in basketball. He had a career high 40 points in a playoff win over Corpus Christi London and dropped 34 points in a regional final win over San Antonio Cole. In addition to his prowess on the basketball court, AB also excelled on the golf course and was part of the Warriors boys team that advanced to the Region IV-3A tournament. >> Kai Money, Brownsville St. Joseph Academy: The senior quarterback led St. Joseph to its first district title in more than 37 years and to the second round of the playoffs. Money amassed more than 4,000 yards of offense — he threw for 2,539 yards and 35 touchdowns and added another 1,502 yards and 11 touchdowns on the ground. The four-year starting quarterback earned The Brownsville Herald’s All-Metro Offensive Player of the Year. He also competed in track and field. The banquet, which will run approximately 6 to 8 p.m., returns to Mario’s for a second consecutive year. The venue has a seating capacity of more than 500 people. Tickets are on sale through TheMonitor.com, BrownsvilleHerald.com and ValleyMorningStar.com at a cost of $40 per person. For sponsorship opportunities, call Marcia Kitten at 956-683-4463 or email mkitten@aimmediatx.com.